Belgian yacht Roxy arrived on Saturday 24th January in Le Marin, Martinique at 14:10 local time, 16 days after the start of the Atlantic Odyssey II in La Palma. 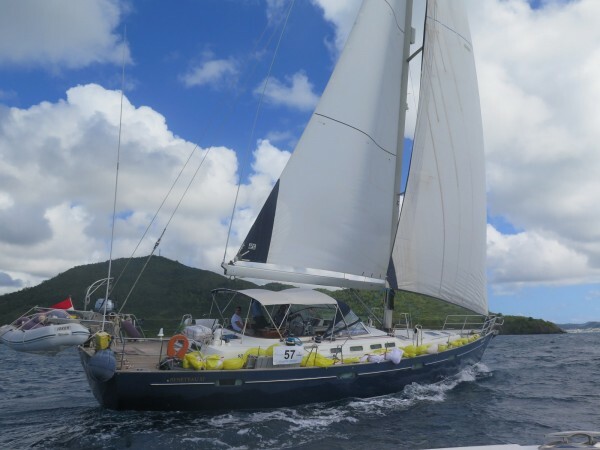 They are the first yacht of the fleet to arrive that departed La Palma on the official start date of January 8. The Marina du Marin provided a boat to meet Roxy at sea as she approached the finish line under full sail. 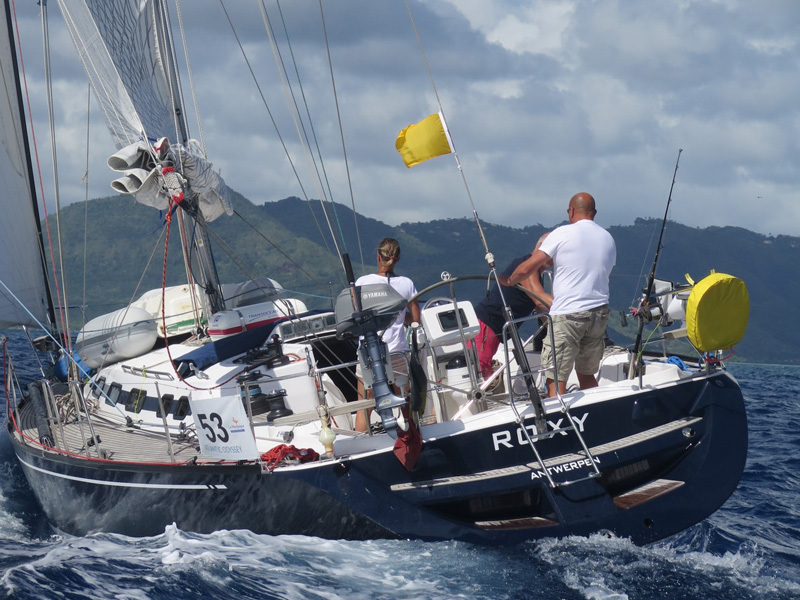 Roxy sails over the finish line. Waiting on the dock were Lucie Baudin and Ophelie Leon-Prosper of the Tourist Board of Le Marin, with a welcome drink of Lucie’s famous planteur punch, along with Eric Jean-Joseph and several other members of the marina staff, Cornell Sailing representative Kathy Parsons and Roger Watson – and the full crew of Lahaina who had arrived yesterday. 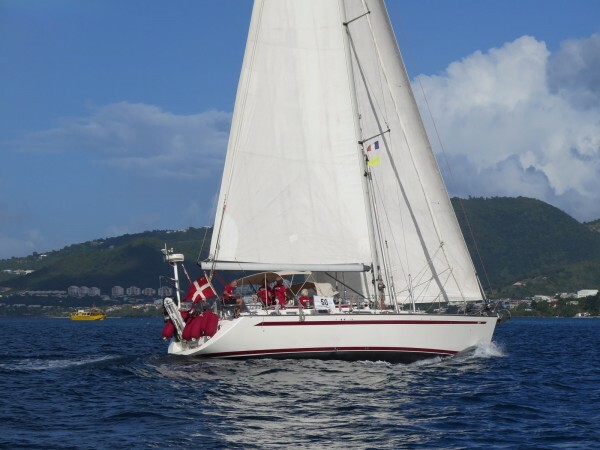 Danish yacht Lahaina, eager to welcome their fellow Atlantic Odyssey sailors, had left La Palma one day early as owner Ole Baadsgaard wanted to give his new crew time to get acclimatized in the calmer weather. As it was, they were there to give Roxy a warm and much appreciated welcome. Themi from Austria was the next to arrive, crossing the finish line just after midnight. They anchored in Sainte Anne for the night so early on Sunday morning the Cornell Sailing team had another excuse to go out with Gustave from the marina and take photos as Themi raised their sails and sailed beautifully over the finish line again at 9:43 local time. 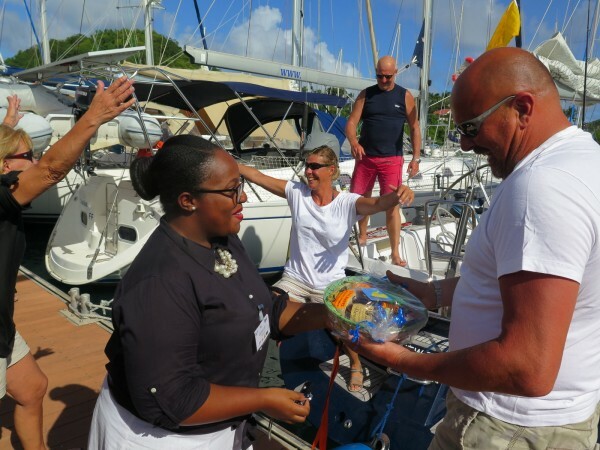 Ready to welcome Themi on the dock were the crews of Roxy and Lahaina, plus Serenity who had sailed in the Atlantic Odyssey I back in December 2014. 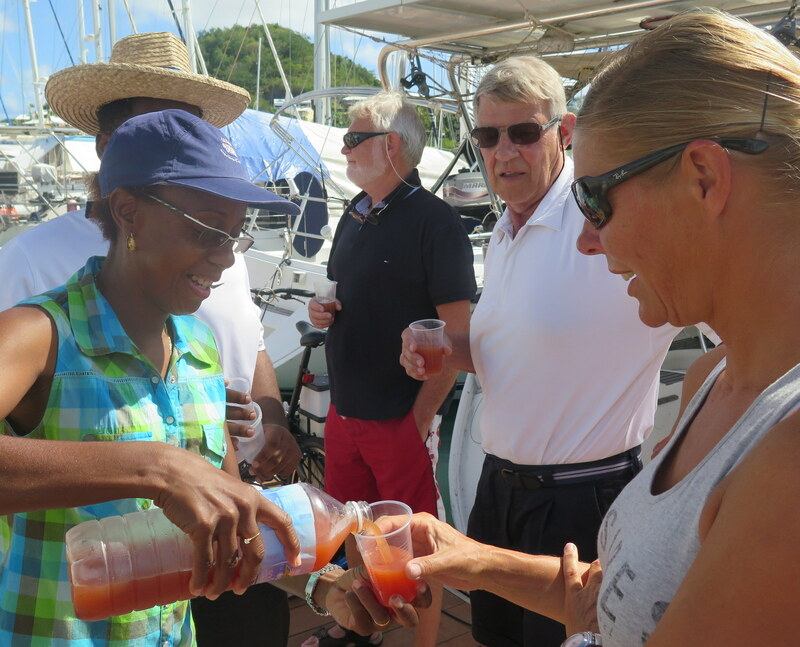 On Sunday evening the sailors will gather for a welcome cocktail hosted by the Office of Tourism of Le Marin. The rest of the fleet will be arriving over the next week and hopefully most will arrive in time for the final party on January 31st. If not, the Tourist Board plans to throw another party for later arrivals around the start of February.